Wednesday, Jack Burkman, a D.C. lobbyist and attorney, will file a lawsuit to force D.C. Metro Police Department to release information related to the murder of Seth Rich. 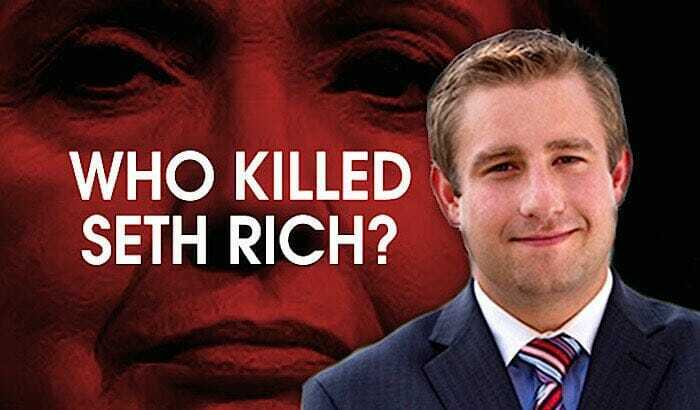 The Gateway Pundit has compiled an extensive list of all of the questions surrounding the Seth Rich murder case. “The release of this crucial material will help bring peace to the victim’s family, and it will help to either confirm or refute the various theories that swirl about this important murder case,” the lawsuit says. Rich, 27, was the voter expansion data director at the DNC, according to Roll Call, and had been employed for two years. Rich also worked on a computer application to help voters locate polling stations, and had just accepted a job with Hillary Clinton’s presidential campaign. Burkman plans to file the suit Wednesday morning in the District of Columbia Superior Court. He also plans to hold a news conference outside MPD headquarters in Washington at 2:00 pm ET. Burkman, who is offering a $105,000 reward in the case, wants to force the police department to release video footage of the murder, along with the medical examiner’s report and ballistic reports related to the weapon used to shoot Rich. Burkman is also leading an independent investigation into the murder with volunteers from George Washington University’s Student Association for Forensic Psychology. The independent investigation is being touted as The Profiling Project, featuring professors and graduate students from the D.C.-based university. You can read the Daily Caller’s full report here.